GX7 now shipping in Asia. And a new review by LL. 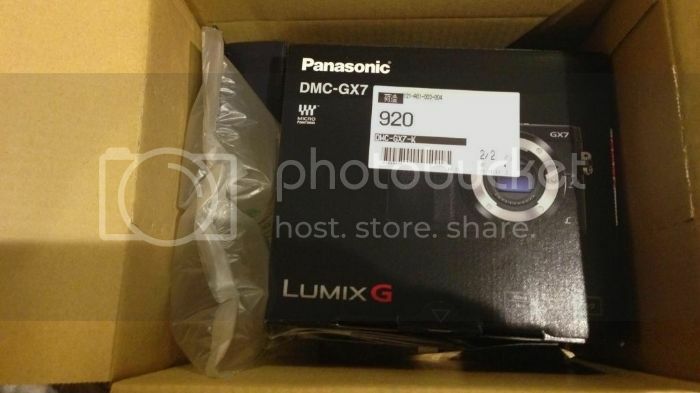 The New Panasonic GX7 is now shipping in Asia (see Amazon Japan). And one of our readers just sent me the picture of the GX7 arrival (image on top). You can open the GX7 RAW files with Silkypix. the new version has just been released with full GX7 support. As far as overall image quality goes, the GX7 should satisfy all but the pickiest compulsive gear-head, let alone practical photographers. Frankly, over the past couple of years the differences between sensor performance on most cameras has gotten so close that it takes very large prints and 100% pixel peeping to tell the difference. Also, most cameras do quite well up to about ISO 3200, and few of us shoot at higher ISOs in the real world. The real differences between cameras and camera performance has now shifted to lenses and those features which allow us to shoot and work more productively. In that regard the new Panasonic GX7 comes off very well indeed. Silver GX7 body at Amazon US, BHphoto, Adorama, Samys, Wex Deutschland, Wex UK , Amazon JP. Silver GX7 with 14-42mm lens at Amazon, BHphoto, Adorama, Samys, Henrys, Wex Deutschland, WexUK, Amazon UK. Black GX7 body at Henrys, Wex Deutschland, Wex UK, Amazon UK, Amazon Japan. Black GX7 with 14-42mm lens at Henrys, Wex Deutschland, Wex UK, Amazon UK. Black GX7 with 20mm lens at Henrys, Wex UK, Amazon UK, Amazon Japan. Silver GX7 with 20mm lens at Henrys, Wex UK, Amazon UK, Amazon Japan. previous post: First picture of the Olympus E-7 Four Thirds camera! next post: New 40-150mm f/2.8 Lens image.